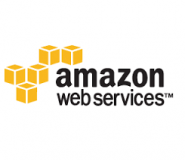 The following tutorial will guide you on how to create your amazon EC2 key pair. Amazon EC2 uses public–key cryptography to encrypt and decrypt login information. To log in to your instance, you must create a key pair, specify the name of the key pair when you launch the instance, and provide the private key when you connect to the instance. Follow the steps to create your key pair. Make sure that you’ve sigin to Amazon user console. At the console home page, select “EC2” from the Amazon Web Services. From the left panel navigation bar, select “Key Pairs” from the Network & Security section. Click the “Create Key Pair” button to open the create key pair windows. Click the “Create” button to create your key pair. You will observe that your key pair is generated and a file with extension of “.PEM” is downloaded as well. Make sure you save the PEM file accordingly. You will need it when you try to access to AWS EC2 instance e.g SSH access.